Dave and Nathan with their catch! 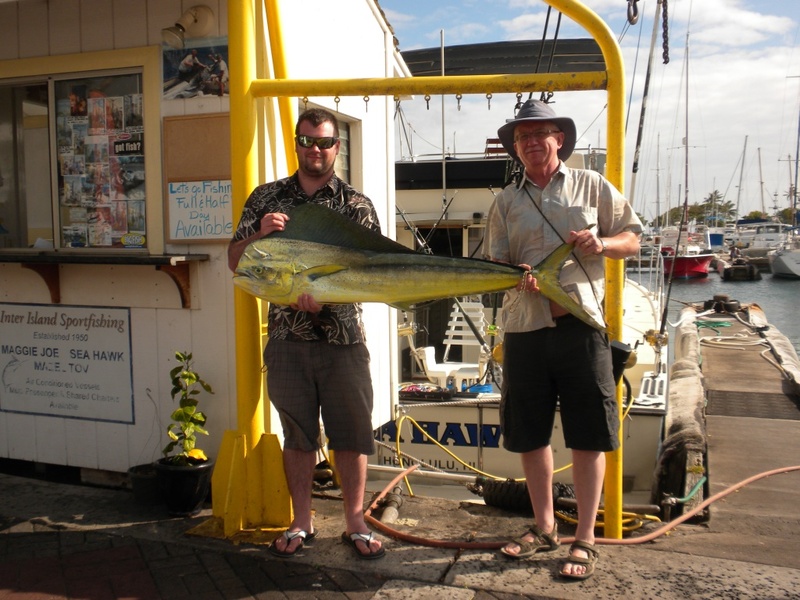 Mahalo to Dave and Nathan for choosing Maggie Joe Sport Fishing! 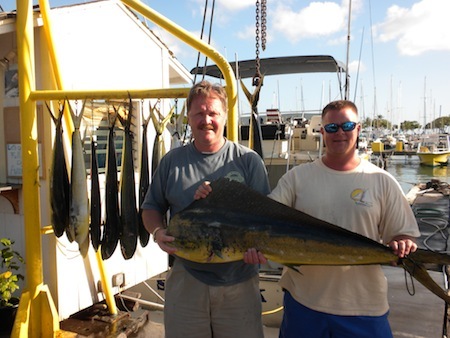 The guys joined Captain Mike aboard the Maggie Joe on a sport fishing charter. After departing Kewalo Basin, next to Waikiki, the spent the day deep sea fishing outside of Honolulu, Oahu and hauled in a total of 12 Mahi Mahi, including this nice Bull. Hana Hou! Midknight, Paula, Jesus and Josh with catch! 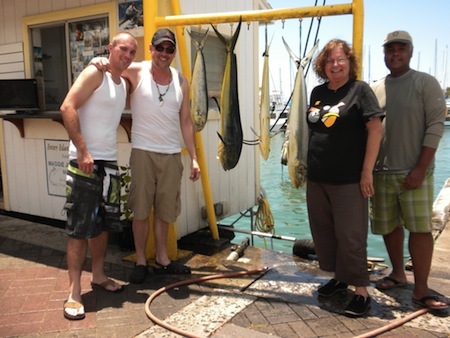 Mahalo to Midknight, Paula, Jesus and Josh for choosing Maggie Joe Sport Fishing! The group joined Captain Mike aboard the Maggie Joe on a 3/4 day sport fishing charter. While deep sea fishing outside of Honolulu, Oahu they hauled in 4 Mahi Mahi! Aloha! Kathleen and Captain Mike with Catch! 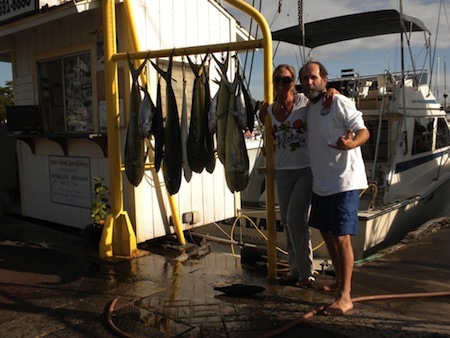 Mahalo to Kathleen for choosing Maggie Joe Sport Fishing! Kathleen joined Captain Mike aboard the Maggie Joe on a full day sport fishing charter. After departing Kewalo Basin, next to Waikiki, in the early morning they spent the day deep sea fishing outside of Honolulu, Oahu and hauled in a handful of Mahi Mahi, Shibi and Aku! Aloha! Amanda, Layley, Jenny and Erica with catch! 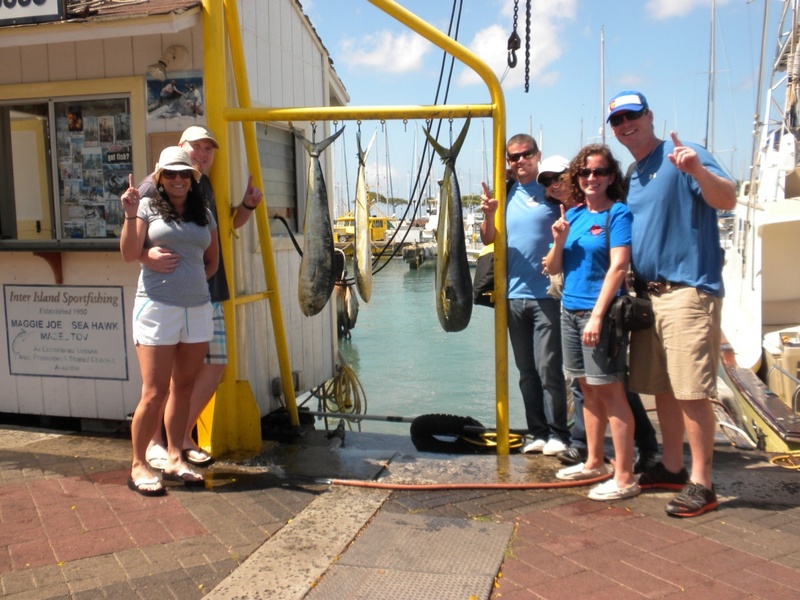 Mahalo to Amanda, Layley, Jenny and Erica for choosing Maggie Joe Sport Fishing! 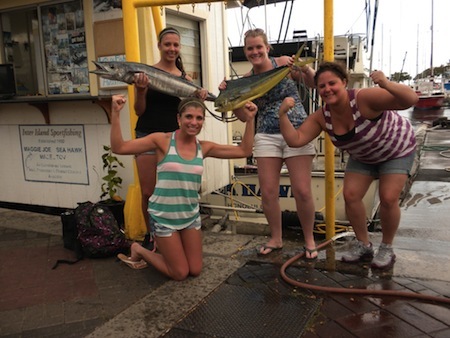 The ladies from Canada joined Captain Mike aboard the Maggie Joe on an afternoon half day sport fishing tour! After departing Kewalo Basin, next to Waikiki, they spent the afternoon deep sea fishing outside of Honolulu, Oahu and hauled in 2 Mahi Mahi and an Ono! Aloha! Kyle and Rick with 26 lb Mahi Mahi! Kyle and Rick, Mahalo for choosing Maggie Joe Sport Fishing! The guys joined Captain Darryl on a sport fishing charter aboard the Sea Hawk. After departing Kewalo Basin, next to Waikiki, while deep sea fishing outside of Honolulu, Oahu they hauled in this nice Bull Mahi Mahi! Congratulations! Hedie, Jarrod, Stephanie, Reid, Mike and Becky with catch! 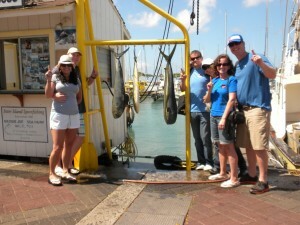 Mahalo to Hedie, Jarrod, Stephanie, Reid, Mike and Becky for choosing Maggie Joe Sport Fishing! The group joined Captain Matt aboard the Ruckus on a sport fishing charter. While deep sea fishing outside of Honolulu, Oahu they hauled in 3 Mahi Mahi! Congratulations! Greg, Will, Jeff and Geoff with catch! 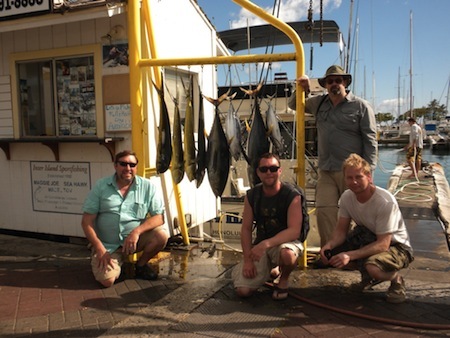 Mahalo to Greg, Will, Jeff and Geoff for choosing Maggie Joe Sport Fishing! They hauled in 7 Mahi Mahi and 2 Ono while deep sea fishing outside of Oahu, Hawaii aboard the Maggie Joe with Captain Mike! Hana Hou! Kat, Tommy, Jeff, Mark and Eric with their catch! 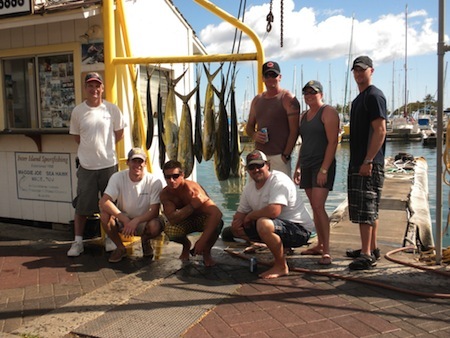 Mahalo to Kat, Tommy, Jeff, Mark and Eric for choosing Maggie Joe Sport Fishing! They joined us aboard the Ruckus with Captain Matt on a sport fishing charter. After departing Kewalo Basin, next to Waikiki, they spent the day deep sea fishing outside of Honolulu, Oahu and hauled in 9 Mahi Mahi! Aloha! Brandon, Jeff, Bill and Brad with catch! 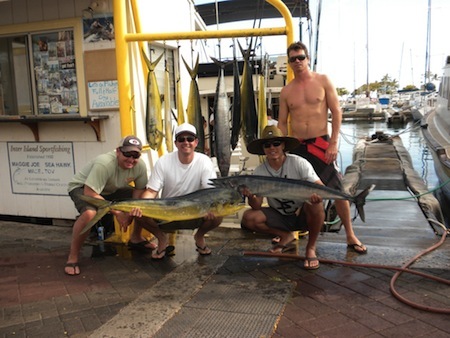 Mahalo to Brandon, Jeff, Bill and Brad for choosing Maggie Joe Sport Fishing! They departed Kewalo Basin, next to Waikiki, on a sport fishing tour aboard the Sea Hawk with Captain Darryl. They hauled in 4 Mahi Mahi, 2 Shibi and 2 Aku while deep sea fishing outside of Honolulu, Oahu. Aloha!